A grand hall with high vaulted ceilings and dramatically lit Gothic architecture provided a suitable setting for E. Tautz’s show, attended by a star studded crowd of dapper dressed gents. Patrick Grant gave a personal introduction to his show, explaining his influence for this season’s collection, “Many of you will know that I have been deeply inspired by Richard Serra’s exhibition in the New York Met last summer”. Serra’s robust paintings of thick layered black paint would be an excellent backdrop to Patrick’s designs. 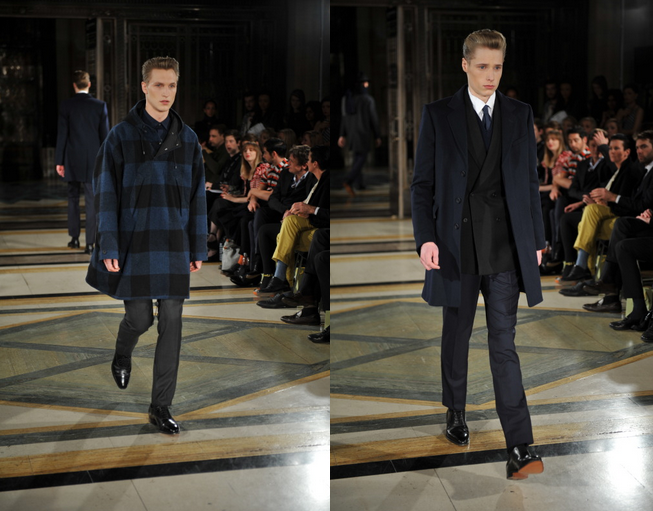 Fine Saville Row tailoring that is elegant and unfussy provides a clean canvas for heavy gingham and oversized checks. Patrick explains, “When I was small boy I wanted to be in the Household Cavalry, and my love of military tailoring has continued into my work”. 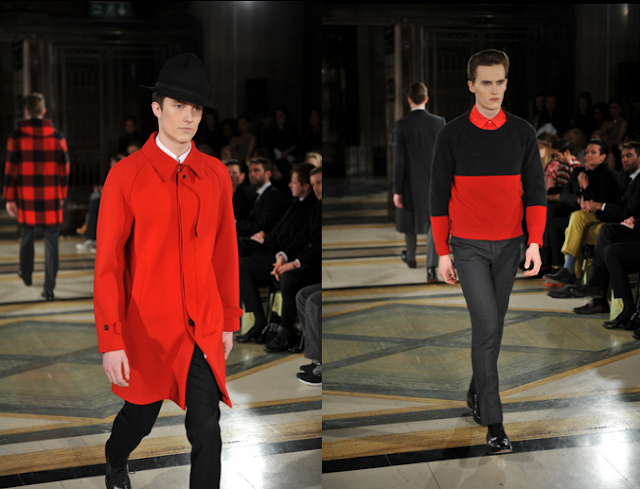 Sophisticated design and classic elements of menswear such as slim fit trousers and double breasted jackets are lifted with fun details such as bright red lining that flashes from beneath a coat as the model walks down the runway, hints of red around a grey blazers collar, an oversized scarf, smooth shaped lapelles and striking bell shaped fedoras. Patrick uses blocks of red, navy, charcoal and black and checked patterns across sweaters, coats, parkers in his “British lightweight cloths”. 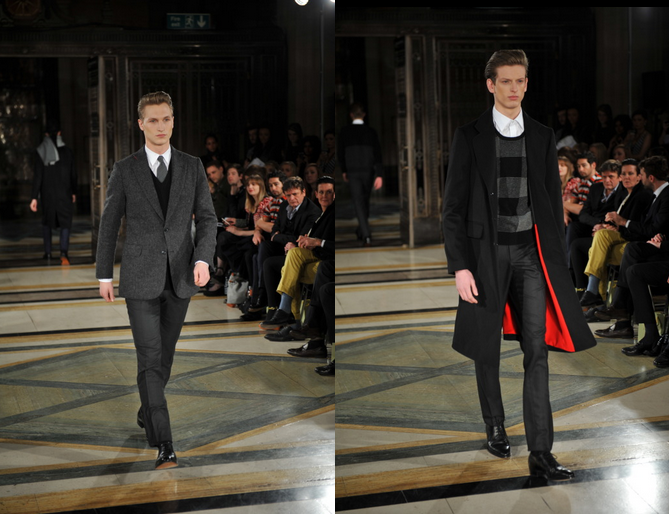 The sharp collection featured traditional tailoring but mixed it with a sense of break-away rebellion.